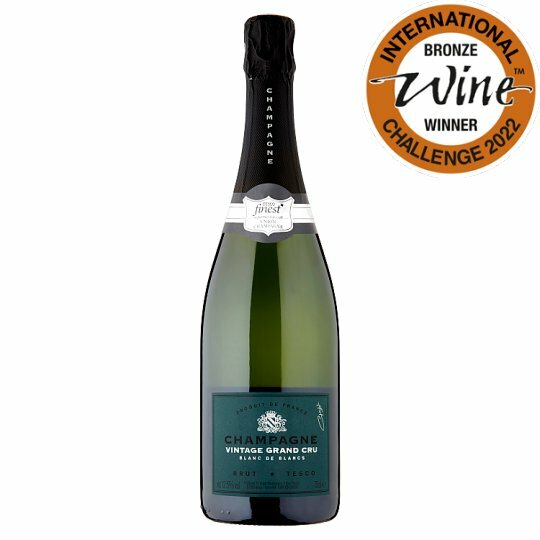 With ripe citrus flavours and a delicate mousse, this dry Champagne is made from Chardonnay grapes only, and from the best located vineyards the Grand Cru villages of the Côtes des Blancs. Produced only in the best years, with extra time spent in the cellars which enhances its longevity. Serve it as an aperitif or with smoked salmon blinis. Store horizontally in a cool, dark place. Do not store at high temperatures or shake bottle before opening. Open with care. Pressing and fermentation are traditionally carried out, with malolactic fermentation partially blocked to retain crispness. This all chardonnay blend requires extra bottle age which helps to soften and develop its flavours. The Chardonnay used for the blend in this vintage champagne comes from the famous villages of the Cote des Blancs. Union Champagne is the largest owner of these prestigious vineyards.